Fully Renovated 1 Bedroom 1 Bathroom with a Den Condo in Hyde Park Village and steps from Bayshore Boulevard! 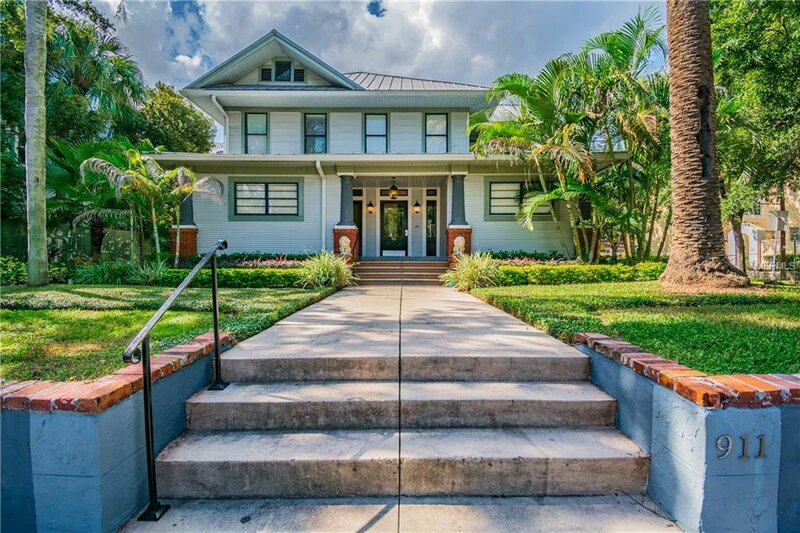 Perfect for anyone wanting to be close to shopping, restaurants, Amalie Arena, Downtown Tampa, University of Tampa, and Tampa General Hospital. This Condo unit is on the second floor of a historic two-story 8-unit condo building. The kitchen features New Stainless Steel Appliances, 42 inch Cabinets, Modern Farmhouse Sink, and Granite Countertops. The Bathroom features a New Granite countertop vanity, subway tile shower with a tub and a linen closet. Washer and dryer are located in the unit. Other upgrades include a den/extra storage room, a wood burning fireplace, and a private balcony off the living room and 1 parking space! Enjoy living so close to the monthly Hyde Park Village Farmer's market, annual Christmas Tree lighting, Gasparilla, and many more events throughout the year. Listing courtesy of TOMLIN, ST CYR & ASSOCIATES LLC. Selling Office: TOMLIN, ST CYR & ASSOCIATES LLC.